When you are charged with a Felony offense in the State of Florida, the State Attorney's Office will prepare your Criminal Punishment Code "scoresheet," which will provide the Court with a range of permissible sentencing options on your case(s). Florida Statute S921.002 states that: "The Criminal Punishment Code shall apply to all felony offenses, except capital felonies, committed on or after October 1, 1998." As stated in Florida Statute S921.001(4): "The purpose of the sentencing guidelines is to establish a uniform set of standards to guide the sentencing judge in the sentence decision-making process." 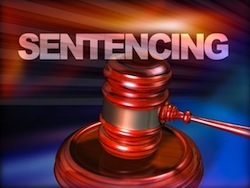 Florida's sentencing guidelines were created to eliminate any unwarranted variation in the sentencing process by reducing the subjectivity in interpreting specific offense-related and offender-related criteria and in defining the relative importance of those criteria in the Court's sentencing decision. Sentencing is neutral with respect to race, gender and social and economic status. The primary purpose of sentencing is to punish the offender. Unlike the Juvenile Justice system, "rehabilitation" is a desired goal of the adult criminal justice system but is subordinate to the goal of punishment. The penalty imposed is commensurate with the severity of the primary offense and the circumstances surrounding the primary offense. The severity of the sentence increases with the length and nature of the offender's prior criminal record. The sentence imposed by the sentencing Judge reflects the length of actual time to be served, shortened only by the application of incentive and meritorious "gain-time." Departures from the recommended sentence established in the guidelines are articulated in writing and made only when circumstances or factors reasonably justify the "aggravation" or "mitigation" of the sentence. The level of proof necessary to establish facts that support a departure from the sentencing guidelines is a "preponderance of the evidence." Use of incarcerative sanctions is prioritized toward offenders convicted of serious offenses and certain offenders who have long prior records, in order to maximize the finite capacities of the state and local correctional facilities. In order to calculate your "guideline sentence," you will need to use the "Offense Severity Ranking Chart" provided in Florida Statute S921.0012(3). The Offense Severity Ranking Chart has ten (10) offense levels, ranked from least severe to most severe, and each felony is assigned to a level according to the severity of the offense (see below). Legal Status Points are assessed when any form of legal status existed at the time the offender committed an offense before the Court for sentencing. Four (4) sentencing points are assessed for an offender's legal status. Community Sanction Violation Points are assessed when a community sanction violation is before the Court for sentencing. Six (6) sentencing points are assessed for each community sanction violation, and each successive community sanction violation; however, if the community sanction violation includes a new Felony conviction before the sentencing Court, twelve (12) community sanction violation points are assessed for such violation, and for each successive community sanction violation involving a new Felony conviction. Note that multiple counts of community sanction violations before the sentencing Court shall not be a basis for multiplying the assessment of community sanction violation points. Prior Serious Felony Points are assessed if the offender has a primary offense or any additional offense ranked in Level 8, Level 9, or Level 10, and one or more prior serious felonies. If so, a single assessment of thirty (30) points shall be added to the offender's scoresheet. Prior Capital Felony Points are assessed if the offender has one or more prior capital felonies. Possession of a Firearm, Semiautomatic Firearm, or Machine Gun points are assessed if the offender is convicted of committing or attempting to commit any Felony other than those enumerated in Florida Statute S775.087(2) while having in his or her possession: a firearm as defined in S790.001(6), an additional eighteen (18) sentencing points are assessed; or if the offender is convicted of committing or attempting to commit any felony other than those enumerated in S775.087(3) while having in his or her possession a semiautomatic firearm as defined in S775.087(3) or a machine gun as defined in S790.001(9), an additional twenty-five (25) sentencing points are assessed. Drug Trafficking: If the primary offense is Drug Trafficking under Florida Statute S893.135, the subtotal sentence points are multiplied, at the discretion of the court, for a level 7 or level 8 offense, by 1.5. However, the state attorney may move the sentencing court to reduce or suspend the sentence of a person convicted of a Level 7 or Level 8 offense, if the offender provides substantial assistance as described in Florida Statute S893.135(4). Law Enforcement Protection: If the primary offense is a violation of the Law Enforcement Protection Act under Florida Statute S775.0823(2), (3), or (4), the subtotal sentence points are multiplied by 2.5. If the primary offense is a violation of Florida Statute S775.0823(5), (6), (7), (8), or (9), the subtotal sentence points are multiplied by 2.0. If the primary offense is a violation of Florida Statute S784.07(3) or Florida Statute S775.0875(1), or of the Law Enforcement Protection Act under Florida Statute S775.0823(10) or (11), then the subtotal sentence points are multiplied by 1.5. Grand Theft of a Motor Vehicle: If the primary offense is Grand Theft of the third degree involving a Motor Vehicle and in the offender's prior record, there are three (3) or more Grand Thefts of the third degree involving a Motor Vehicle, the subtotal sentence points are multiplied by 1.5. Offense Related to a Criminal Gang: If the offender is convicted of the primary offense and committed that offense for the purpose of benefiting, promoting, or furthering the interests of a criminal gang as prohibited under Florida Statute S874.04, the subtotal sentence points are multiplied by 1.5. Domestic Violence in the Presence of a Child: If the offender is convicted of the primary offense and the primary offense is a crime of Domestic Violence, as defined in Florida Statute S741.28, which was committed in the presence of a child under 16 years of age who is a family or household member, as defined in Florida Statute S741.28(3), with the victim or perpetrator, the subtotal sentence points are multiplied by 1.5. If you've made it this far through our Sentencing page, you now know that there are various sentencing issues that can apply to each case. These issues can include sentencing Departures, sentencing Enhancements and/or sentencing Multipliers. Because Felony sentencing in the State of Florida is an extremely complicated, yet important aspect of any criminal case, you'll need a criminal defense attorney that has experience applying these rules while navigating their clients' cases through this confusing and tangled web. To speak directly with criminal defense attorney Nicholas J. Dorsten, Esq. or Rex R. Blake, Esq. about any potential sentencing issues that may affect your case, please contact Blake & Dorsten, P.A. at 727.286.6141.